My legs still work. I’ve just checked: a 45-minute trot on muddy trails and around playing fields in the London drizzle. I even managed to wander up a few minor hills with relative ease. Everything – joyously – is intact. For all its hardness, the Fellsman did not destroy me. The pleasure from being uninjured and fit cannot be underestimated. Nevertheless, it took five days for the first post-Fellsman run to happen. On Monday my right ankle was so sore that I spent much of the day hobbling. The ankle felt stronger on Tuesday, but I still avoided my traditional bicycle commute as a precaution. I got back on the cycle yesterday, with my legs feeling utterly drained on even the merest incline. And so today, more cycling – fresher legs this time – and a decent run. What now? A gentle re-introduction to running before the big stuff: a Bob Graham recce in 10 days, the Richmond Park Marathon on May 20 and then my Bob Graham attempt in early-June. 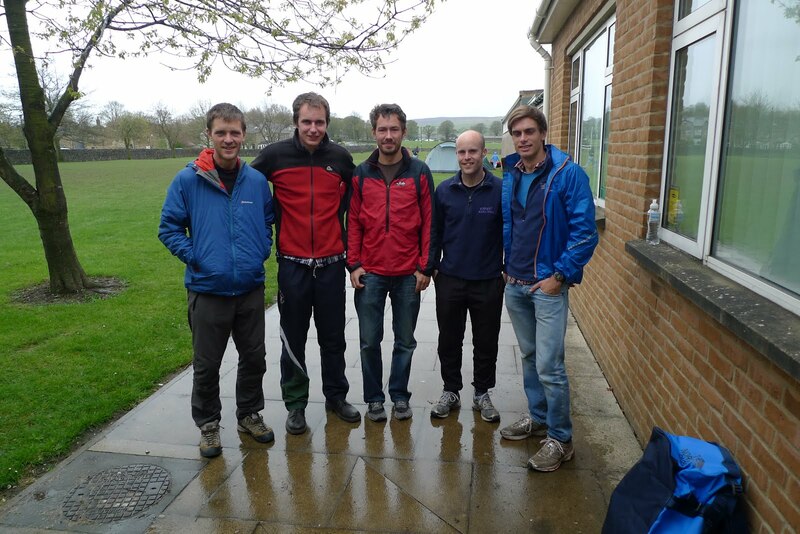 There are still no results yet from the Fellsman, but here is a team picture of Iced Spiced Collective – winners of the team prize at the Fellsman 2012. ICED SPICED COLLECTIVE: Mandula, Rawlik, Steen, Stirk, Muir. Wassat;- the ‘Spiced Girls Collective’? Iced Spiced – as in iced spiced buns available from M&S. They don’t do it for me, but the others like them – hence the name.